From 1st contact I had a feeling Sarah and CJ would be the people for us. Professional, polite, caring and dedicated to the welfare of fur family members. Within a week to the day of measurement, our boy once again had his own door to come and go as he pleased. The door itself is from his/my homeland and I have to wonder if that makes it easier adapting to a new door for him?! Awesome job both of you. All the very best. And if I'm asked I will remember you both with your contact deets without hesitation. I really can't recommend these guys enough! This is the best service company I have ever dealt with. Every email was answered in minutes with helpful information and kindness. Our bespoke glass was ready really quickly and the quality of the workmanship is perfect - no mess, no trace of anything having changed in the double glazing, except for the beautifully fitted cat flap. I really can't recommend these guys enough! And theirs was the best value quote out of 2 or 3 I got before placing an order. Superb service. Highly recommend for cat flap installation. Such a great and prompt service, highly recommended. Thank you!! Such a great and prompt service, highly recommended. If only they could help get the cat back inside... Ha. Wouldn't hesitate to recommend them to anyone who needed this. 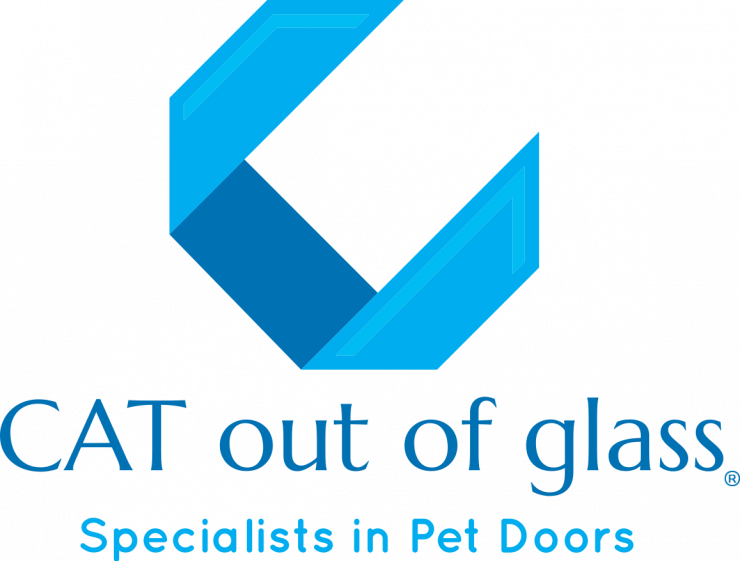 We had a piece of glass fitted today with a cat flap from Cat out of Glass and I cannot fault the service received. It was incredibly personal and they were a joy to deal with from initial consultation to installation. The price was fair and the service very quick. Wouldn't hesitate to recommend them to anyone who needed this. No mess, no fuss and cat flap looks great. Brilliant service from initial quote to final fit. Nice friendly fitting team. No mess, no fuss and cat flap looks great. Thank you! We had a cat flap fitted into our double glazed bi fold door and the service and price were both excellent. From the first phone call to the follow up email we couldn't have been happier with this company and the guy that came to fit on the day was friendly, quick and super tidy. Highly recommended! Very thorough, punctual and easy to deal with. A pleasure to deal with. Sarah and CJ were very thorough, punctual and easy to deal with. Would definitely recommend! Very quick and reasonably priced quote. Excellent service. Very quick and reasonably priced quote. Helpful staff and an overall efficient process. I would highly recommend their services to others. First class service! Quick response, order processing and installation and lovely team of people. Great price and the cat flap in situ looks fantastic! Fantastic service from this company. From the initial contact through to fitting, it was easy and the customer service was exceptional. Great price and the cat flap in situ looks fantastic! Very friendly company. I would definitely recommend them! 5 stars! Really lovely people who went above and beyond to help us. Fantastic. Really lovely people who went above and beyond to help us. They also found a way to install it cheaper than a lot of other local companies. Definitely recommend and thanks so much for your help! If we ever move & need a new one I know where I'll be going! Absolutely brilliant service, from the response speed at my first enquiry to general fit was excellent. I'd definitely recommend these guys to anyone that needs a door flap, and if we ever move & need a new one I know where I'll be going! Excellent service from start to finish and at a reasonable price. A* Excellent service and price. Very good service, quick & reliable!